More and more companies, such as Amazon, Adobe, Salesforce, and Netflix, are adopting recurring revenue models to drive business. These models hold tremendous advantages, including increasing customer lifetime revenue through ongoing and deeper customer relationships. This book, in its modular, easy-to-reference format, shows you how to navigate the many aspects of your billing and monetization strategy. 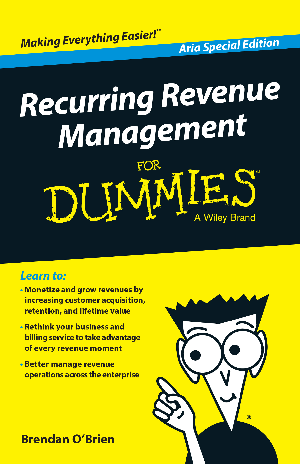 It provides tips so you can move beyond limited cloud and subscription billing toward a complete recurring revenue management system that impacts your entire revenue operation. - Rethink your business and billing service to take advantage of every revenue moment. - Better manage revenue operations across the enterprise.